Make your own precision fixtures. This small dial indicator profile is perfect for use in restricted areas. 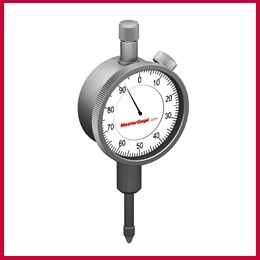 It is the same dial indicator used on both the MasterGage/Classic and /Professional units. 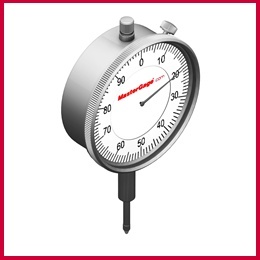 Dial body diameter = 1-5/8"
This dial indicator is the standard sized indicator used in most machine shops. Very useful in the woodshop for checking various machinery elements such as drill press, chuck run out, etc. It is the same dial indicator used on the SuperBar.